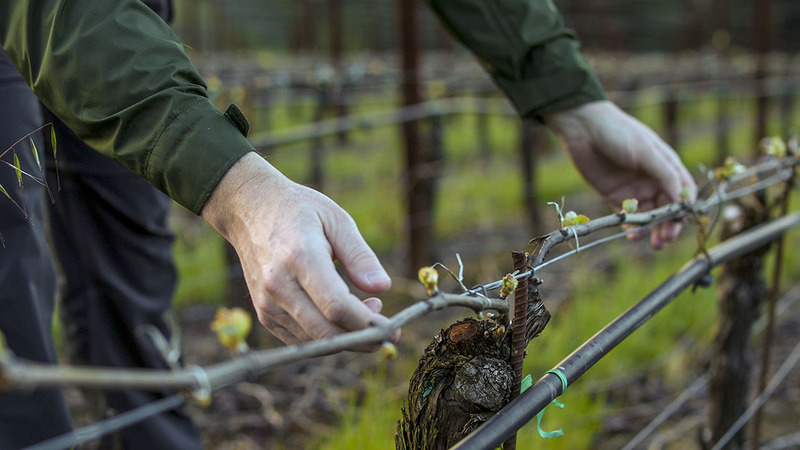 Following on from the 1998 & 1999 vintages, the Russian River Valley again benefited from a lengthy season, which saw late picking into mid October. A two week period of unusually cool weather in early October allowed us to delay harvesting to build even greater nuance into the fruit without pushing sugar/alcohol levels too high. Crop yields were naturally high even in our old vines, which necessitated extensive thinning post-veraison to guarantee fruit density & extract. The four vineyards that comprise our 2000 Russian River Valley Pinot Noir blend are situated in the coolest western reaches of the appellation. As a consequence they benefit from coastal influence, which moderates temperatures and allows a gradual ripening of flavors & skin tannins to produce wines of great intensity. We particularly emphasize clonal diversity in order to build a broad spectrum of flavors & structures and to create a blend that offers greater complexity than its individual components alone. These vineyards flourish on the region's prized Goldridge soils which contribute to the broad rich texture of the wine. Further, dry farming keeps berry size small resulting in great concentration of color & palate weight. Color is a bright full ruby red that darkens with aeration. Highly aromatic nose of bright cherry and wild berries leads to less primary aromas of smoked meat, leather and dried herbs, underpinned by spicy black olive & tobacco notes. The palate is immediately sappy and fresh with sweet redcurrant and a peppery spiciness, which darkens to a solid core of ripe plum, smoky sweetness and broad earthy complexity. The classic fleshy/layered Russian River mid-palate shows mouth-filling weight as brisk acidity and assertive tannins combine to lift and extend the lengthy finish. While we feel that 2000 is an approachable vintage, we believe that the full complexity of this wine will greatly develop with 3 to 5 years aging in bottle. We find as these wines age, the components integrate wonderfully to the degree that it becomes hard to pinpoint individual flavors, producing wines of great nuance with excellent long-term cellaring potential.